The Haunted Palace is a 1963 horror film released by American International Pictures, starring Vincent Price, Lon Chaney Jr., and Debra Paget in a story about a village held in the grip of a cult. The film was directed by Roger Corman, and is usually listed as one in his series of eight films based on the works of American author Edgar Allan Poe. [by whom?] However, the film actually derives its plot from The Case of Charles Dexter Ward, a novella by H. P. Lovecraft. 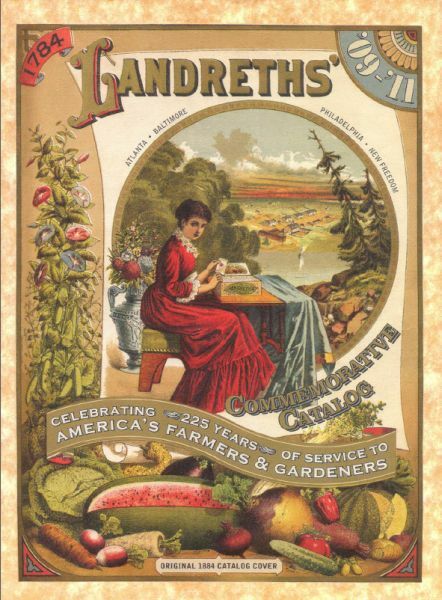 Landreth’s seed catalog for 2009-2011 is a gorgeous mix of their current seed inventory interspersed with pages and artwork from their vintage editions. The first video was raptured but this one remains for the tribulation.